At Monday’s meeting, members of the Greenville Kiwanis Aktion Club presented Pastor Roger Emerson and the Ansonia United Methodist Church with food for its food pantry. 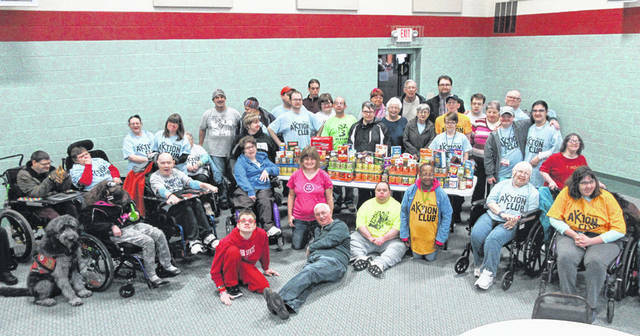 Club members received notice at the meeting that their collection of 749 items designated them the winners of the Aktion Club Five County Food Challenge, which is an annual event held among the surrounding area Aktion Clubs. Food also was donated to Grace Resurrection Center and Union City Community Help Center. Greenville Kiwanis Club, Banner Bound 4-H group, Greenville City Schools Key Club/Community, Darke County Board of Developmental Disabilities, Art Sense, Your Happy Place, Inc. and Person Centered Services all participated in the food drive.